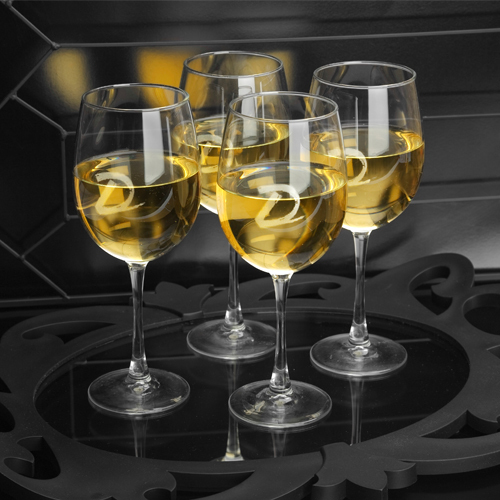 * Designed to accentuate the characteristics of white vintages, our personalized White Wine Quartet is a must-have for the wine lover. * Gracefully shaped but sturdy, these lovely wine glasses include a contemporary script-style initial monogram and are ideal for a housewarming gift or for anyone else with a well-stocked home bar. * Glasses hold 19 ounces.